Palm tree pruning will not provide stimulation to its growth. This is a myth that has caused many people to hurt palm trees. 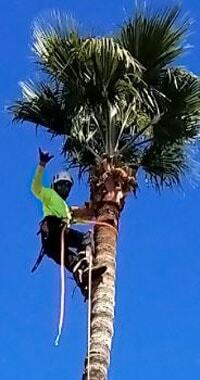 Pruning palm trees must be done carefully and at the right time. If you want to know information about pruning and good times for cutting palm, follow this article because we will share how to prune a palm tree. Pruning on palm trees, some experts do not recommend. However, others recommend only to do a little pruning on the palm tree and must be done at the right time. When should you cut the palm tree? For proper pruning, only when there are dead or damaged leaves. Another reason that you have to cut palm leaves is to clean the palm tree so as not to become a nest for mice or scorpions and snakes. Besides that, if you see palm trees disturb the view because it is close to home, then you can do trimming. You should wait for the right time to prune your palm tree. Experts recommend that you only trimming in spring. Palm leaves that look dirty will help protect the tree from the heat of the temperature in summer and cold in winter. So, don’t prune it in the hot or cold season, do it when spring arrives. Use sharp tools to trim to make your work easier. In addition, use gloves, a long-sleeved shirt, and long pants. The way to trimming is to remove all dead, diseased, wilted or unhealthy leaves. Furthermore, you should not cut the green leaves or healthy leaves that grow vertically or horizontally. If you cut the green leaves, the palm plants will be stressed. When pruning palm trees, avoid cutting most of the leaves. If this happens the plant will experience stress and its growth will be disrupted. Leave as many green leaves as possible because this is important for future palm growth. 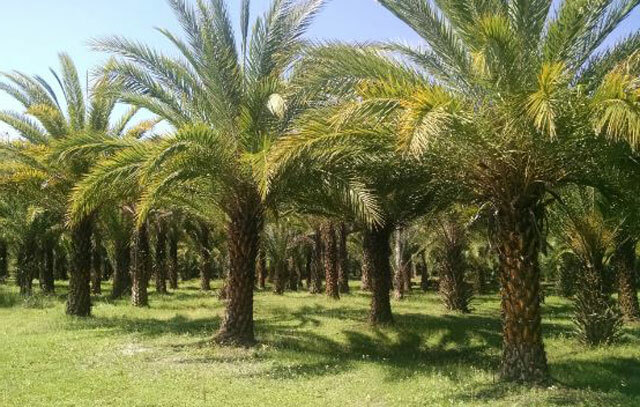 Palm trees need lots of green leaves to get a stable supply of food, without green leaves that many palm plants will not be able to build food reserves.